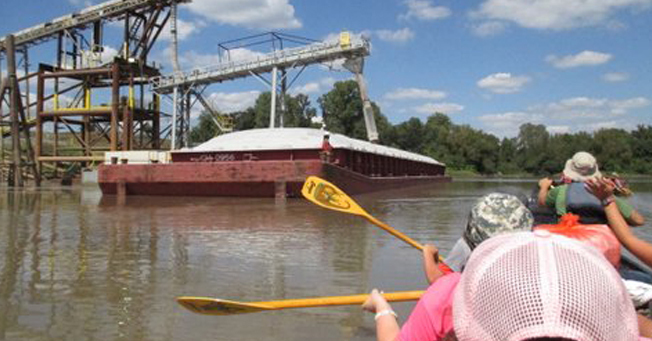 The first fifth grade overnight trip on the Mississippi River was an exciting, character-shaping adventure for 21 fifth graders and seven chaperones. Perfect weather contributed to a wonderul outing that helped students escape their comfort zones and build confidence in unfamiliar surroundings. 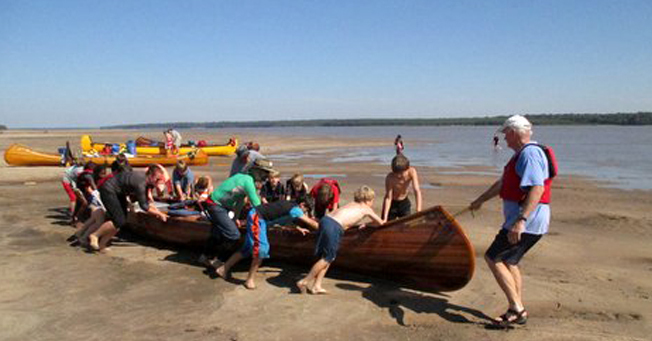 Participants canoed, swam, explored sandbars and gravelbars, took nature hikes, and camped out on a sandbar on Buck Island. The fifth graders created some great memories. 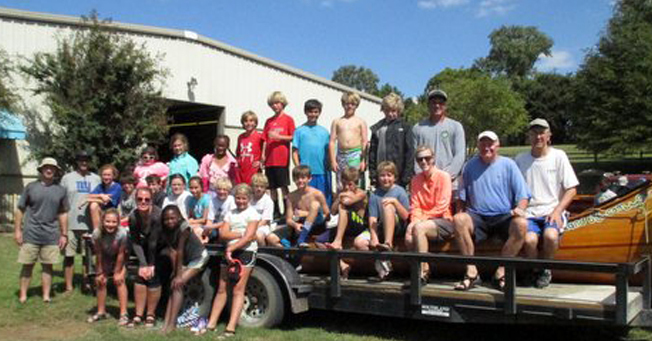 It was Quapaw Canoe Company’s first overnight trip with students from a Mississippi school. 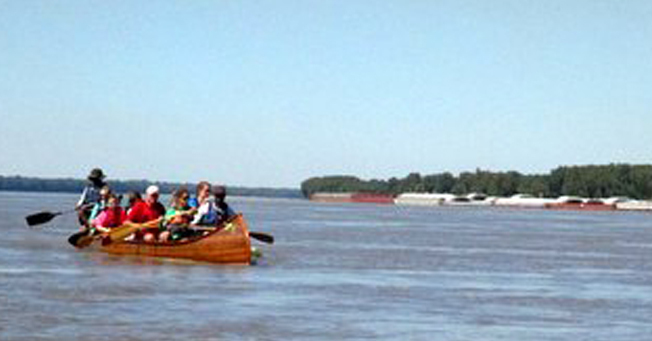 I put my foot on the gunwale, stood to full height, and jumped out of my canoe into the Mississippi River. Several times during the previous night, the sound of tugboats pushing barges through that very shipping lane had woken me, but there I was, swimming the mighty Mississippi. As I broke the surface, four fifth grade girls called out a warning. They were coming in, too; maybe right on top of me! This year at JA has started with much talk of character: how to build and shape it, how to take children away from the comfortable and familiar to help them discover unique capacities for strength, confidence, and resilience in the face of the strange and unfamiliar. I’ve had the privilege to travel on many trips that comprise a significant arm of JA’s character education program, but I’ve never been on a trip quite like this. 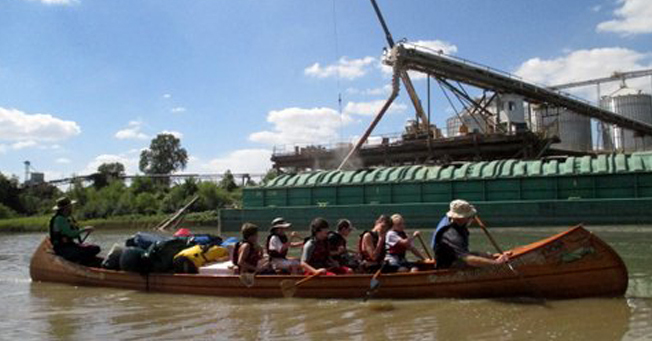 Canoeing the Mississippi River? With fifth graders? 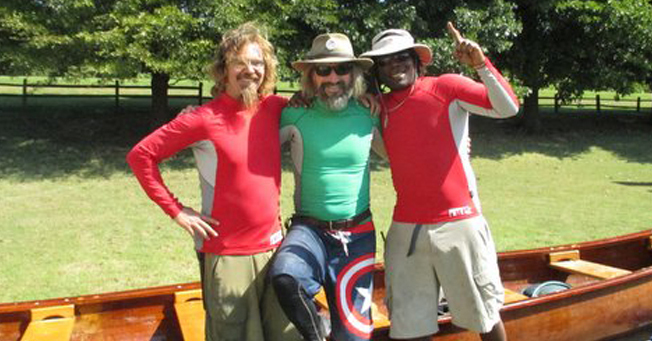 It started at Helena, Arkansas, at the Quapaw Canoe Company, where owner and chief guide John Ruskey talked to us about our route. 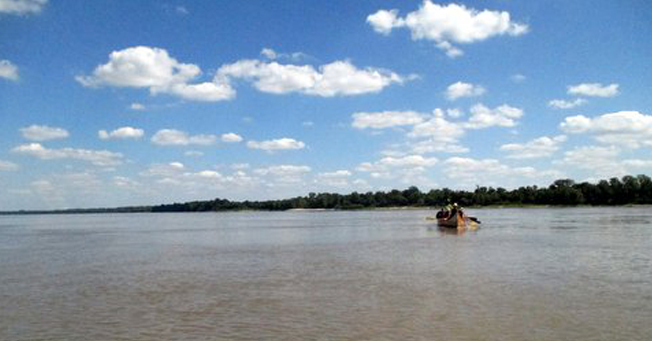 We’d paddle three miles of the tributary St. Francis then meet the Mississippi. 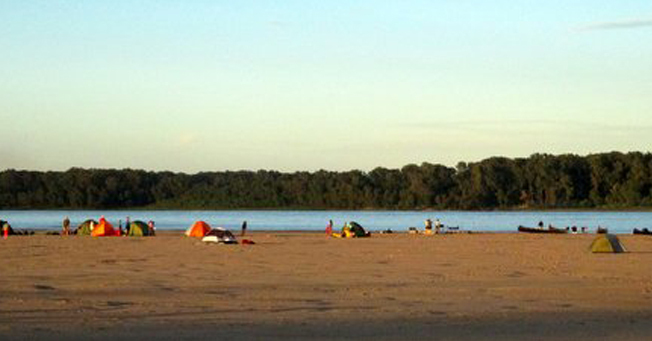 The plan was to overnight on a sandbar at Buck Island. He talked about star charts and river levels and the wildlife we’d likely encounter, and I could feel the excitement building all around me. We stopped for lunch at the juncture of the two rivers. By that time, we’d experienced close encounters with some of Ruskey’s wildlife. Asian Carp had jumped into two of our boats, creating hilarious chaos; without missing a beat, our fifth graders pursued wildlife into its habitat, seeking out toads and turtle shells, dragon flies and fish skeletons, as we wandered along the bank. 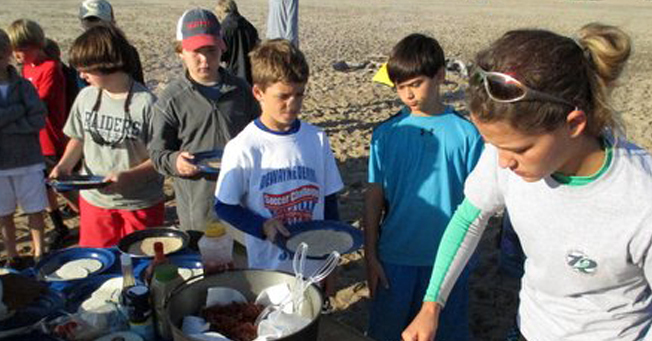 Those who plan outdoor education often speak of “capstone trips” and “community building.” We long for these experiences for our students. We know their potential for character and development, the inexpressible chemistry by which such experiences weave themselves into the fabric of self. The equation is elusive and impossible to recreate in a classroom, however progressive or rigorous. We know their potential for character and development, the inexpressible chemistry by which such experiences weave themselves into the fabric of self. 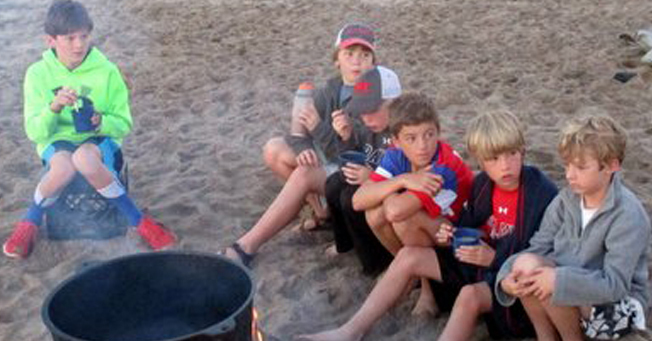 There is a capstone, and it shifted into place on a sandbar along the Mississippi River, under a blanket of stars, as John Ruskey captivated twenty–one fifth graders with talk of the first explorers to the region and the number of houses a beaver will build in its lifetime. 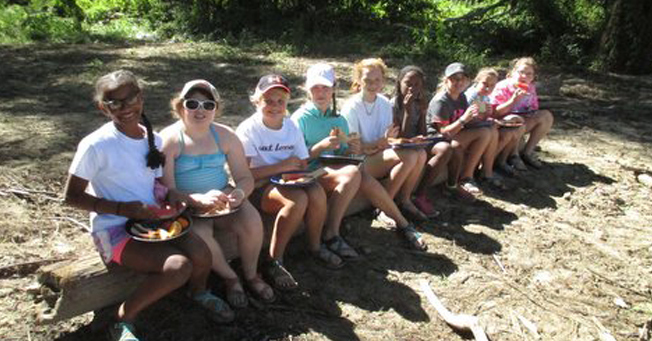 It found traction with half a dozen of those fifth grade girls who discovered that they can love Mississippi mud as much as a cell phone or an iPad. Community happened on the river as four canoes of JA students called out a Quapaw “whoop” of greeting to each other across the water. I traveled to the canoe company with several students and another teacher, and our car played a familiar game along the road: I Spy. I spy, with my little eye, a mighty adventure. It was strange, and it was wonderful, and I can’t wait to go again!